Hello Friends,Broken links are really bad for a website or blog both in terms of SEO and user experience. 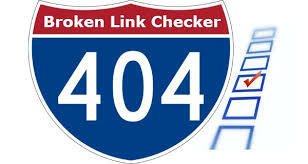 The best thing you should do is to redirect all those 404 or broken links to the most appropriate pages on your blog. This will not only help users but also the search engines to find the most appropriate pages on your site instead of those not so useful ‘page not found’ error pages. anymore. They’ve been assigned a 404 status code and when a visitor lands on such page, he’ll see a 404 error page while the search engines will receive a 404 status code. This input a negative mark on your blog in terms of SEO. So, how can we find broken links on a particular website? If your blog is a self-hosted WordPress blog, then you can easily make use of the broken links checker WordPress plugin through which you can easily modify your broken links directly from the dashboard. The plugin automatically checks your blog for any broken links and all those links will be displayed for your convenience. You’ll then be given three options – Edit URL (Correct the broken link), Unlink (remove the hyperlink) and Not broken (mark it as not broken). Another most interesting feature of this plugin is that it checks the all the redirected URLs and with a single click, you can get those fixed and update them with new one. This will mostly help people who change their WordPress blog permalink structure and face duplicate content penalties due to their old and new pages indexing in search engines. This will help the people who migrate from Blogger to WordPress as their permalink structure will change all of a sudden once they’re migrated. What if my blog is hosted on Blogger for free? Don’t worry! You can use XENU link sleuth, a desktop client which checks for broken links on any website. Simply, note those URLs and set up a proper 301 redirection using Blogger 404 feature manually. You can also customize your Blogger 404 pages with informative content or images.